Today’s make up game between the Cubs and Atlanta Braves starts late due to rain. The game gets under way with Jason Hammel taking to the mound against 31 year-old Lucas Harrell making his second start of the season looking for his second win of the year. Well I wrote everything last night and I didn’t save which is very disappointing to say the least. So here’s a quick recap. The Cubs would be held to no runs and four hits by Lucas who makes it 7 and 2/3 innings but after hitting Kris Bryant would be pulled from the game. Hunter Cevenka comes and hits Anthony Rizzo the Zobrist doubles driving in Kris. Jim Johnson enters the game to give up a two RBI triple to Wilson Contreras to put the Cubs up by 1. Jason Hammel would give up a two run homer in the first to Nick Markakis but would only make it 5 innings. Wood, Hendricks and Grimm would help preserve it to 2 runs for the Braves but it would be Hector Rondon who blows the save giving up a solo home run to Markakis in the top of the 9th. He’d close out the 9th and Spencer Patton would enter for extra innings receiving the loss after 11 innings. With two men on he gives up a single to Tyler Flowers that scores Freddie Freeman for the win. We wrap up the first half with the Pirates. 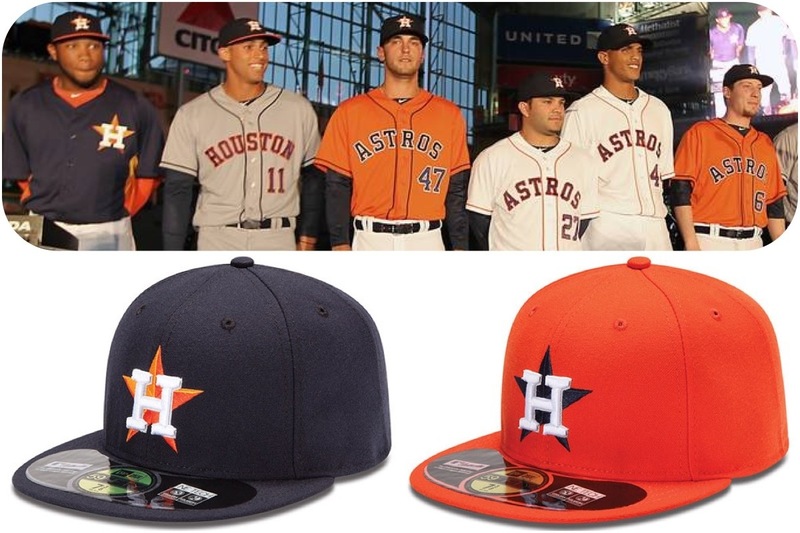 Now we all know that the Houston Astros will be heading over to the American. The first team to switch leagues this side of the millennium. The Milwaukee Brewers did it in 1998 when the Tampa Bay Rays & Arizona Diamondbacks joined the MLB. 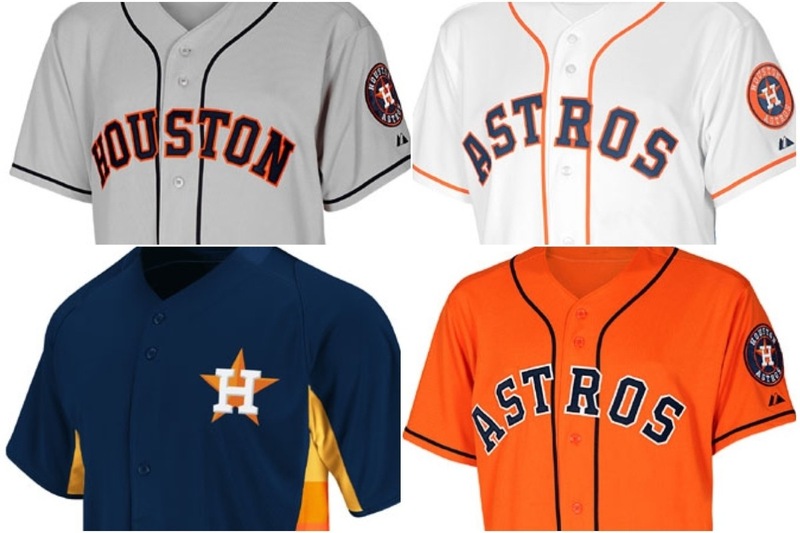 Despite the new designs being leaked, owner Jim Crane, still went on with the unveiling of the new uniforms this Friday night at Minute Maid Park. With a stage near the base path, guard rails lined to and surrounding the pitchers mound and tunneling towards the dugout. The 5000 fans anxiously waited, Crane, GM Jeff Luhnow and new manager Bo Porter spoke to the crowd and then played a short teaser video on the center field screen. Justin Maxwell OF and All Star Jose Altuve 2B climbed out of the dugout sporting the new white home jerseys with orange lettering. After posing at the mound and doing a little handshake, they took to the stage as Lucas Harrell SP and prospect Jared Cosart wearing the alternate orange jersey with blue lettering gave the Japanese bow at the mound. #1 2012 overall draft pick Carlos Correa & first round draft pick George Springer strolled up to the mound, without skipping a beat gave each other a pound and straight to the stage in the traditional grey uniforms with blue lettering. Now what everyone has been waiting for as P Jordan Lyles and C Johnathan Singleton gave the old body building pose wearing the batting practice jersey that will be worn on select home games and Sundays. And then a special news story broke inside Minute Park about NASA retrieving something that crashes and was on its way to the stadium. The video was followed up by the return of the Astros mascot Orbit! To be honest when I first saw pics of the jerseys, I didn’t think too much of them. So I jumped on Bing to search articles on the unveiling and for every search that’s earning me Microsoft points and other things email me about it. Anyways, I was shocked to discover that even though I was searching for Houston area newspapers, no one really covered this event at all. It was not even an after thought. There has to be a writer that covers the team that was there. I could only find two real articles on it. One from of course the Associated Press and another from Brian McTaggar, reporter for MLB.com. Really one Article some of the local papers websites either had the AP story or just a little snippet. Whatever. I learned from these two articles that Owner Jim Crane spent time and research to find out what the fans liked and going back to its inception style in the 60’s through the rainbow jersey introduced in 1975. Understanding why they chose these jerseys makes me appreciate them much more. Of course I have to throw in what I would have done, I would have tried to incorporate a pinstripe on the Home jerseys but, I’d still choose the tribute to the rainbow jersey over all. I hope the Astros all the luck in the AL West in 2013. Its going to be a tough division to compete it and I think it’s going to make it exciting again for baseball fans in Houston. The biggest change next to the uniforms is the DH. As I say it the first name that pops into my head is Mike Napoli. Not only can he DH but also play 1B, C and I’m sure if needed 3B also. He’s a for average hitter but spending the last 6 years playing on the two of the Wests best teams the Rangers $ Angels, that experience of playing in the AL and in the West would add on the field and in the locker room. The Astros have reportedly been in talks with Lance Berkman. Will 50 year old Roger Clemens have what it takes to pitch again. As much as I look forward to next season, I’m looking forward to the off season, mainly the December meetings. Can’t wait!